Meeting the needs of commercial projects after entitlement can be difficult when City agencies are tasked with solving a housing crisis. The Small Business Permit Streamlining Ordinance seeks to update several areas of code that affect various agency processes and may contribute to an elegant solution for commercial property owners exploring options with tenants for shared space. The ordinance proposes to align regulation of restaurant enclosures for outdoor food service and restroom requirements with state standards; amend the Planning Code to clarify that a Type 23 liquor license may be used in conjunction with a Bar or Restaurant use; amend the definition of a Bar to provide for consistent treatment of Type 64 liquor licenses; to reduce the distance measured for Retail Sales and Services uses in Neighborhood Commercial zoning districts to any neighborhood commercial district; to reduce the distance measured for nonconforming uses in RH (Residential, House), RM (Residential, Mixed), and RTO (Residential, Transit-Oriented) districts to any neighborhood commercial district; and importantly, to allow Limited Restaurant use as an Accessory Use which would enable more flex use spaces in neighborhoods who want to encourage and maximize a thriving local scene. For more information on this, read the legislation here: File No. 181211. These are times that keep the City focused on a healthy socio-economic future requiring balance between housing and the associated commercial infrastructure needed to sustain the inhabitants, pursue cultural growth and allow neighborhood flavor to emerge in partnership with neighborhood community groups questing to influence use of their local spaces. Commercial property owners may also be interested in following the crafting of recently proposed legislation which would amend the Building Code to require the assessment of a fee within the first 30 days of vacancy for any storefront that is not tenanted regardless of whether it is offered for rent or lease; and require annual safety inspections within sixty days of the annual registration renewal and the issuance of a Notice of Violation with a penalty of four times the registration fee for failure to register within thirty days. If passed without reform, this legislation has the potential to over-burden the property owner and require them to navigate substantively bureaucratic code enforcement issues especially if their potential tenants meet with delay working through after entitlement permitting for their tenant improvements. For more information on this, read the legislation here: File No. 181213. The Small Business Permit Streamlining Ordinance may offer some relief, but it does not provide additional staff to assist with the increased review times for commercial projects due to ADU and housing being given priority. In a City that lacks housing, prioritizing these projects without increasing staff or allocating paid overtime for in-house review can critically impact commercial alteration projects and contribute to costly and seemingly ever moving targets for start of construction. San Francisco entitlement and permitting processes offer unique challenges to estimating project timelines. Stakeholders need to more carefully assess what to include in the initial permit set being supplied for Planning review when construction timelines, which are dependent on the after entitlement issuance of building permits, are a factor. 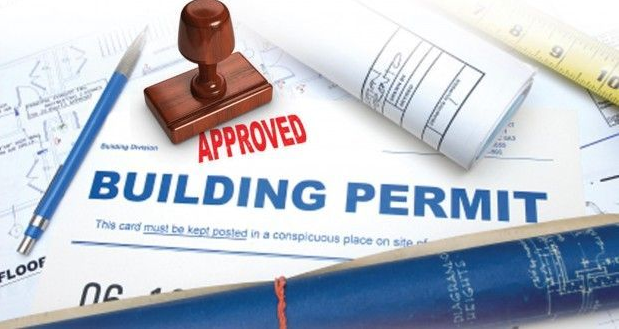 The Planning Department can review an architectural set – best known as a “Site” permit set for entitlement; however that same permit set does not and cannot be converted to a “Full” building permit set automatically after planning review. Filing with a design plan as a Site permit locks the project sponsor into a two-phase review process and may contribute to a property owner realizing excessive, financial impact, if the afore-mentioned vacant storefront legislation does not include a provision giving deferral for fees, enforcement and penalties while a tenant improvement is under permit review. The Land Use Committee should be encouraged to expand the vacant storefront legislation to include alternative paths for property owners who can demonstrate that a potential tenant is in process of entitlement and subsequent permitting. While projects requiring more than an hour of review, do not qualify for over the counter processing at the building department, in house review of a full permit can cut permitting time in half and is one way design professionals and property owners can help guide a prospective tenant toward a more rapid occupancy of their buildings.